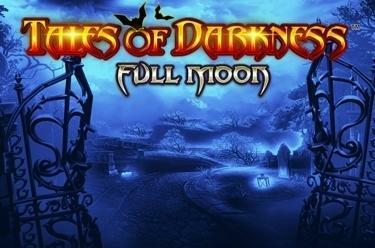 Play Tales of Darkness™ Full Moon online for free now! Creepy creatures of the night, a mysterious beau, up to 20 free games and many more surprises: Tales of Darkness™ Full Moon is a perilous journey into the heart of slot darkness. Embark on an adventurous venture to discover untold Twist treasures on 5 reels and up to 40 win lines. But be careful: don't let any creature sink its teeth in you 😉! Land at least 3 identical symbols side by side on one of the active win lines running from left to right to fill your coffers with Twists. Winning combos with 5 matching symbols are a breath of fresh air for your account. The Wild symbol (Wolf Eyes) can substitute for any other symbol – except for Scatter – to complete winning combos. The Moon symbol triggers free games provided it lands at least 3 times in any reel position (see below). 3, 4 or 5 Moon symbols trigger 10, 15 or 20 free games! Moreover, if the Scatter symbol lands on 3 or 4 reels a re-spin is triggered on the remaining reels! 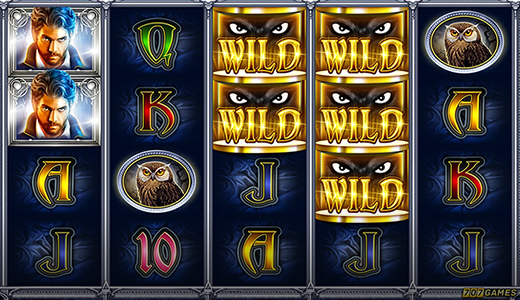 During free games additional Wild symbols (Extra) can land on reels 2, 3 or 4 to increase winning chances. Though no more free games can be triggered. This unique slot provides a night of terror and turmoil brightened up by prodigious pleasure and wonderful winnings. Fear, fun and a spine-tingling soundtrack are the secret ingredients of Tales of Darkness™ Full Moon.